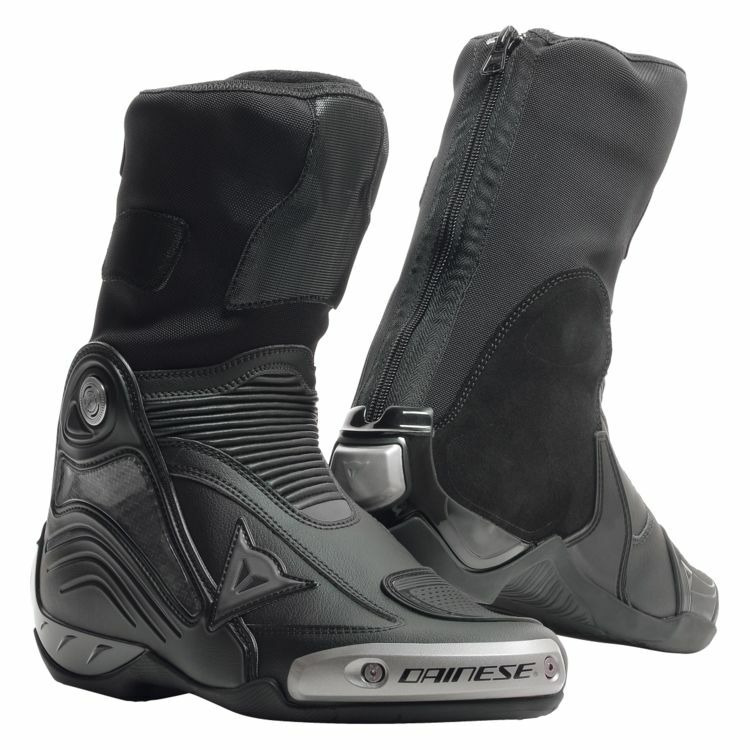 The Dainese Axial D1 Boots were purpose built for track performance. Top racers attack international tracks with these bad boys protecting their feet. New Velcro design makes sure these "in-boots" stay securely fastened to the lower portion of Dainese track pants or track suits with the corresponding Velcro. The latest iteration of the Axial D1 uses a redesigned shift guard for even better control and feedback from each shift. The D-Axial system protects your ankle from twisting, impacts and intrusion of foreign objects. Heavy duty D-Stone fabric resists abrasion, breaking and tearing for the ultimate track day boot.